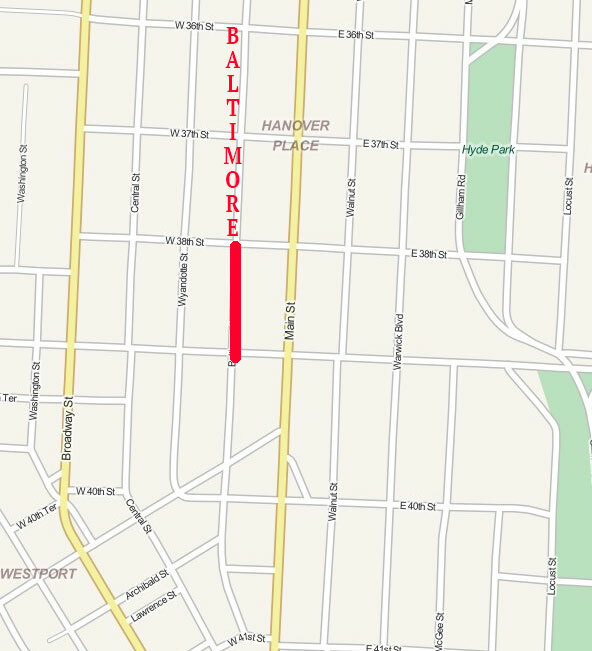 Do you know the history of the 3800 block of Baltimore? A reader who owns the Visage Apartments at 3817-23 Baltimore asked us what we knew about that building and her block, and why the lot at 3821-23 is empty today. That lot is listed for sale in 1946 for $3950 as a building with four five-room apartments. 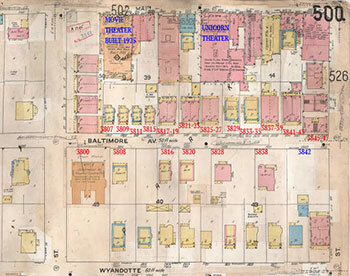 As the Sanborn Fire Insurance map from 1909-1950 shows (below), the east side of block was a mixture of small brick apartments with a few homes scattered in. The west side of the block had one large apartment at 3800 and several large homes on spacious lots. 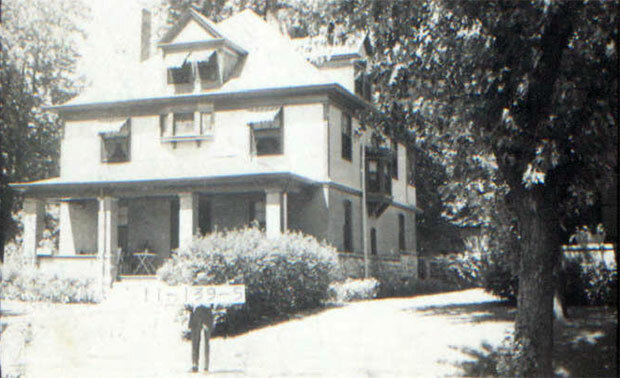 In addition to Mrs. Davis, insurance and real estate man Frank Grove lived in a large house at 3838 Baltimore. He was described, at his death in 1940, as active in civic and social life in Kansas City, a member of the Kansas City Club and the university club and a graduate of Vanderbilt Law School. One other notable piece of history happened in the 3816 Baltimore home of Mr. and Mrs. Riley. In 1940, Senator Warren G. Harding of Ohio, a candidate for the Republican presidential nomination, stayed with them while in town campaigning. Harding became President of the United States in 1921. There’s still a lot more to learn. Do you remember this block? What special memories do you have of this section of Old Hyde Park? What questions do you have about it? Let us know and we’ll share your history and help to preserve it on our website. This is a particularly beautiful block of Midtown, many of the buildings have a very “Southern aura” about them, with heavily colonnaded apartment homes along the East side of the street, and also the beautiful Baltimore Place on the northwest end of the street. A stunning high end apartment in it’s day and beautifully restored today.